Gin Tales' Hot Cross Gin is an adult twist on an Easter favourite... leave the buns and chocolate for the kids, this is Easter treat is for the grown-ups! 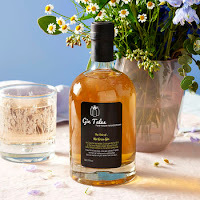 Gin Tales wonderful selection of gins are infused with only natural flavours to bring great taste to your G&T's and cocktails without any artificial nasties. They only use fresh, natural ingredients - no added chemicals, sugar or other weird stuff that doesn't belong in your drink.